Wake Forest has dropped back-to-back games, including a 79-70 setback to the Georgia Tech Yellow Jackets as 4.5-point home favorites last Saturday, while going OVER the betting total of 134. The Demon Deacons have a chance to pull off the upset if Travis McKie continues to play at a high level, as he’s averaged 19.0 points and hit 11 of 26 shots from beyond the arc over his past four games, which is important to consider when making your college basketball predictions. Wake Forest is 0-9 SU and 5-4 ATS as road underdogs of 12.5 or more points the last two-plus seasons. The Demon Deacons are 77-162 SU all-time against the Blue Devils—dropping the last seven meetings in the series. Wake Forest has done a great job of getting to the free throw line this season, as it leads the ACC and ranks 37th in the country in reaching the charity stripe. The program has also done a great job of taking care of the basketball recently, with Codi Miller-McIntyre being the kay player in ranking among the ACC’s top 10 in assist-to-turnover ratio. 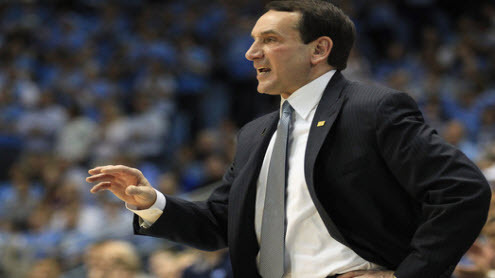 Duke had its five-game winning streak snapped last Saturday, as it dropped a 91-89 overtime decision to the Syracuse Orange as 4.5-point road underdogs, while going OVER the betting total for a second consecutive contest. The Blue Devils are a dominating 23-1 SU following a loss since the start of the 2009-10 campaign, which can’t be ignored when looking over the college basketball odds page. In 12 home games, the program is outscoring opponents by 20.7 points a contest. Duke is 2-0 ATS as home favorites of 15.5 to 18 points this season. The Blue Devils hold a +8.0 rebounding margin over their last five games, including 85 on the offensive end—leading directly to 23.3 second-chance points over that stretch. Duke has won 28 consecutive games in Cameron Indoor Stadium—tied for the longest active streak in the country and fifth-longest in school history. Sports bettors will likely play the total, as the UNDER is 11-5 in the Demon Deacons’ last 16 overall games. 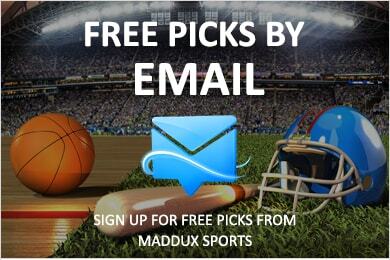 Don’t miss out on a winning season and let the college basketball handicappers at Maddux Sports line your pockets with cash. Long term packages are available now!